Netherlands Rly No 1505 Ariadne, Manchester Museum of Science & Industry, 15 September 2005. Ariadne is one of seven EM2 Co-Co locos built in 1954 by BR at Gorton for passenger duty on the 1500V DC Manchester - Woodhead - Sheffield line. It was BR No 27001. 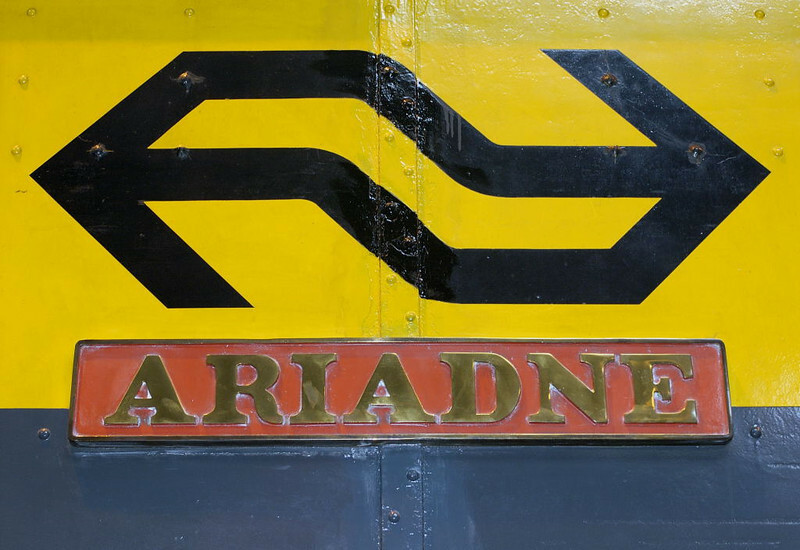 The class was withdrawn in 1970 when passenger services were diverted onto the Hope Valley line, and sold to the Netherlands. 1505 still wears Dutch livery.